Welcome to our classroom. As an educator your time is limited. That’s why we have curated a set of engaging professional learning experiences just for you! We know your days don’t stop and that when it comes to professional learning, only the best will do. 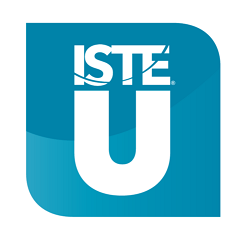 ISTE U is a virtual hub of best-in-class courses to help you build and explore digital age competencies. By working with leading educators and education organizations, we’re bringing you impactful, engaging courses that put pedagogy first and provide incredible learning from the moment you get started! We know professional development is more engaging and impactful when you learn alongside your colleagues. ISTE U allows teams to tackle new topics together and immediately apply their shared learning in their school or district. Plus, when you enroll a cohort of 10 or more educators in an ISTE U course, you save 25% on registration! Large cohorts can also enroll in private sessions where they can customize course start and end dates, messaging to participants and more. Want more information about group registration? Fill out this form! Visit the course page for detailed course information and to enroll. Enrollment ends July 12 - Early bird pricing until May 10! Enrollment ends July 8 - Early bird pricing until May 10! Enrollment period: Now until July 8 - Early bird pricing until May 10! Get credit for your learning! 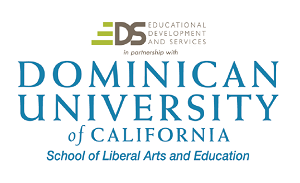 ISTE U courses are eligible for graduate-level credit at an additional fee through the Continuing Education and Professional Development Department at Dominican University of California. Many local districts allow teachers to apply graduate-level credit toward their continuing education units (CEUs) for educators licensure renewal and recertification. Please consult your individual school district policies for additional information on approval of professional learning and how determination of credit can be awarded. For additional information please review the ISTE U FAQ.